New open access paper Population genomic analysis of elongated skulls reveals extensive female-biased immigration in Early Medieval Bavaria, by Veeramah, Rott, Groß, et al. PNAS (2018), published ahead of print. 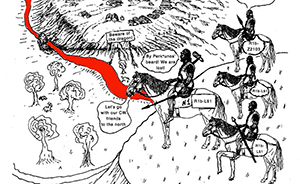 In the mid 6th century AD, the historiographer Jordanes and the poet and hagiographer Venantius Fortunatus provide the first mention of a group known as the Baiuvarii that resided in modern day Bavaria. It is likely that this group had already started to form in the 5th century AD, and that it emanated from a combination of the romanized local population of the border province of the former Roman Empire and immigrants from north of the Danube (2). 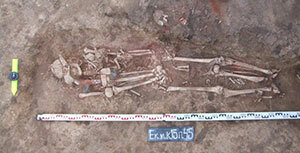 While the Baiuvarii are less well known than some other contemporary groups, an interesting archaeological feature in Bavaria from this period is the presence of skeletons with artificially deformed or elongated skulls. Procrustes-transformed PCA of ancient samples using pseudohaploid calls based on off-target reads using an imputed POPRES modern reference dataset. Blue, green, and red male or female symbols are ancient Bavarian individuals with normal, intermediate, and elongated skulls, respectively. 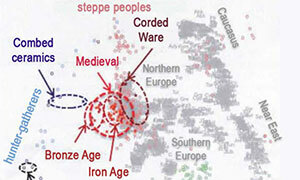 Orange circles are Anglo-Saxon era individuals. 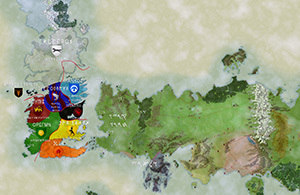 Large circles are medians for regions, dots are individuals. CE, central Europe; EE, eastern Europe; NE, northern Europe; NEE, northeastern Europe; NEW, northwestern Europe; SE, southern Europe; SEE, southeast Europe; WE, western Europe. Percentage of variation explained by PCs 1 and 2 for modern populations only is 0.25% and 0.15%. 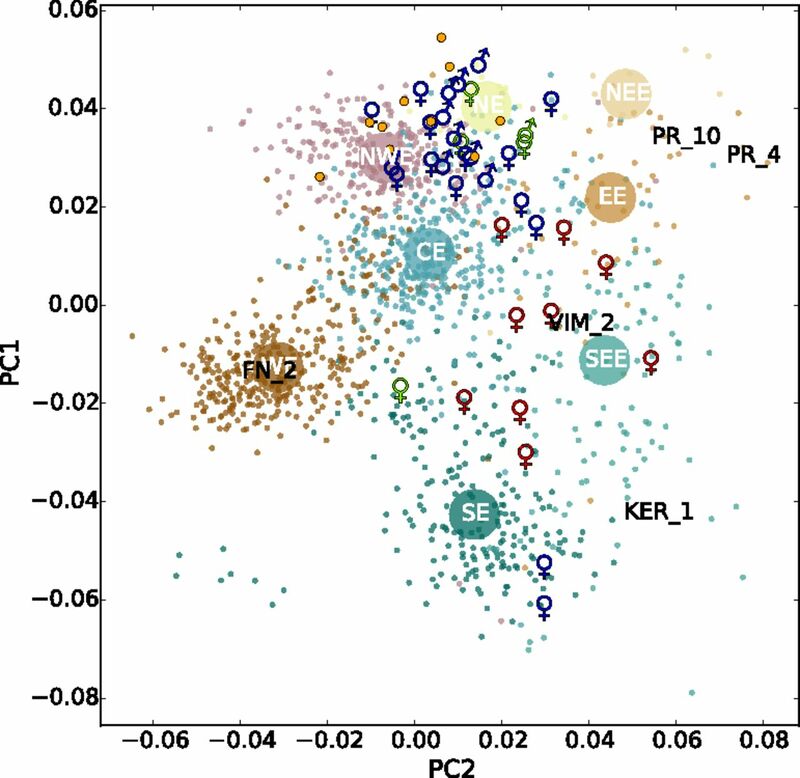 Supervised model-based clustering ADMIXTURE analysis for ancient samples based on phased haplotypes for individual 1,000 bp loci from the 5-Mb neutralome. Analysis is based on the best of 100 runs for K = 8, but NC_EUR is the ancestry summed across 1000 Genomes CEU, 1000 Genomes GBR, and GoNL populations (i.e., it represents a northern/central European ancestry). Blue, green, and red male or female symbols are ancient Bavarian individuals with normal, intermediate, and elongated skulls, respectively. 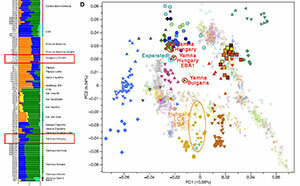 There is no Y-DNA data to keep confirming the North-Central origin of certain modern European subclades in Central and South-Central Europe. 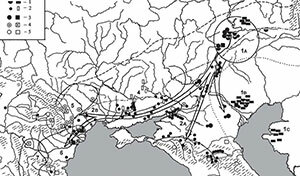 The potential Ostrogothic sample from Crimea was probably Hunnic, as the paper itself suggests, and both Ostrogoths and Gepids are known to have been allies of the Huns for a long time. 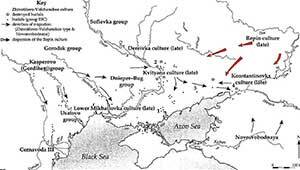 It is also a well-known fact that East Germanic tribes migrated south- and eastward through eastern Europe, and then from the steppe westward. 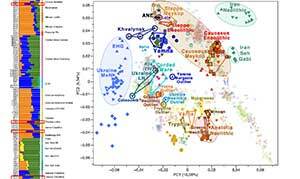 Obviously, the PCA of a late Gepid sample – after a certain number of generations and admixture events with ‘local’ populations during the migrations – , and of a Crimean sample without a clear cultural identification, are of limited value today, until more samples are available. Hence sadly no valid data yet to add to the debate of East Germanic nature, which mainly concerns its traditionally described origin in Scandinavia – i.e. close to North Germanic dialects – against a different origin (and dialectal branch) within Proto-Germanic territory. 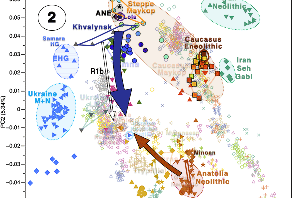 b) or mainly R1b-U106, R1b-P312, and I1 subclades and a PCA cluster close to West Germanic tribes, which would challenge its traditional dialectal identification. 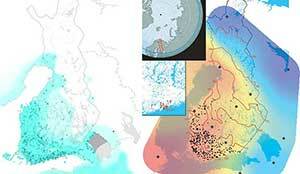 I agree with the authors in that a few samples are able to describe certain migratory events, though, such as the emphasized female-biased long-distance migration in Bavaria, as well as the diverse ancestry of women versus men.